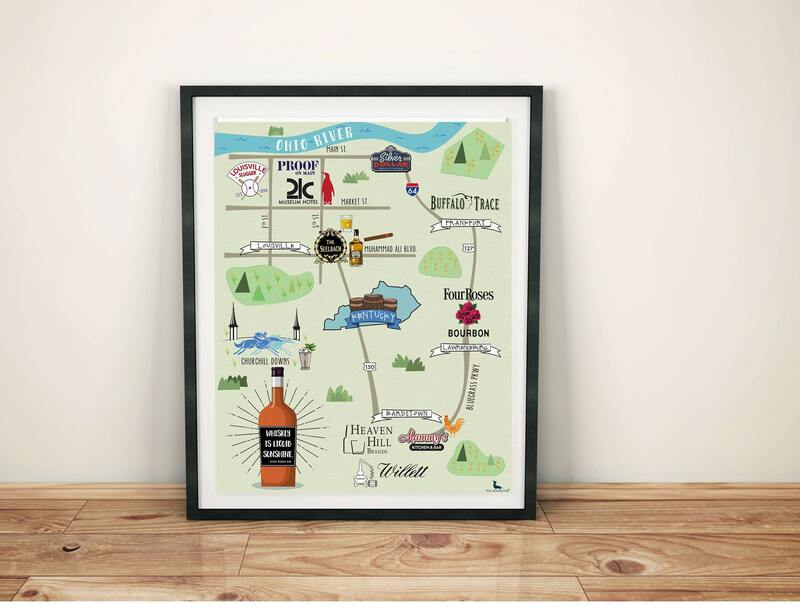 Our maps are a fun, unique, functional and excellent solution for communicating with your guests. For those unfamiliar with the wedding or party location, this visual element is perfect for helping your guests be aware of not only WHAT is happening, but also WHERE it is happening. Our maps help guests to "see" the distance between the different event locations, allowing them to effectively plan their transportation and the amount of time needed to travel to each event. 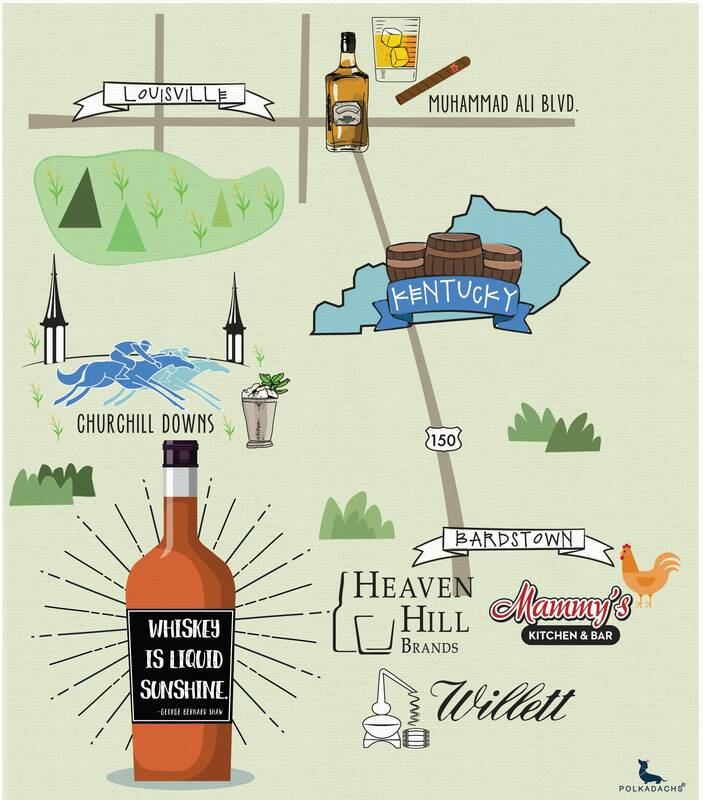 In addition, our maps are great to tell your guests about different ways to spend their down time and enjoy the area. We invite you to use this one of a kind tool to engage your guests and set the scene for the exciting event. 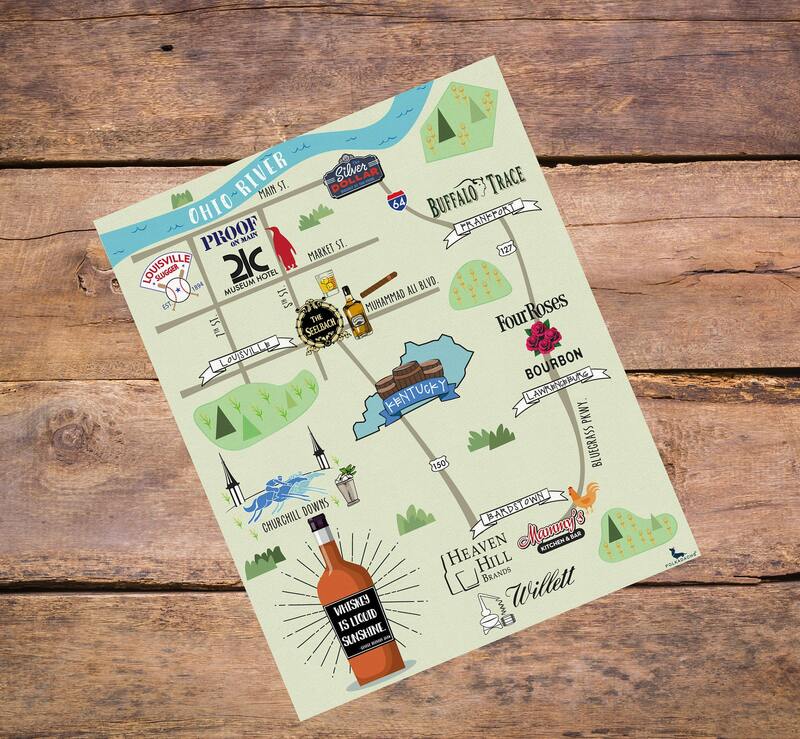 Let our maps draw your guests in and get them excited about the adventures that await. * Custom design with your location, wording, colors and illustrations that reflect the most important areas surrounding the venue (ie. landmarks, popular restaurants, local hotspots, boutiques, and unique adventures off the beaten path). 4. Within 2-3 weeks, we will provide you with a digital proof and allow for 2 revisions. Revisions include changes in colors, wording, small additions and placement of designs. Significant changes, like adding more items, can be made for an additional fee of $25 per change.